The soothing colors and comfortable décor in this beach front condo make it a perfect vacation spot. Recently updated décor and a renovated kitchen are just 2 of the reasons why you will have a memorable vacation here. The private balcony faces the Gulf of Mexico. The master bedroom has a door to the balcony and a large window facing the Gulf. The breakfast nook has been converted to a small library and free internet service is available. Awesome!!!! :-) Come back for another visit soon! We only got to stay one night and a day at the beach. We had a family emergency as our grandmother was put in the hospital and wasn’t going to live much longer so we had to return home. Oh my goodness we are so sorry to hear that and are keeping you all in our thoughts during this difficult time for you and your family! The place we always return to year after year. We have been taking a family vacation to Lands End in Treasure Island, FL every year for the past 15 years. This sis truly a slice of paradise. Lands is simply well maintained and beautiful. 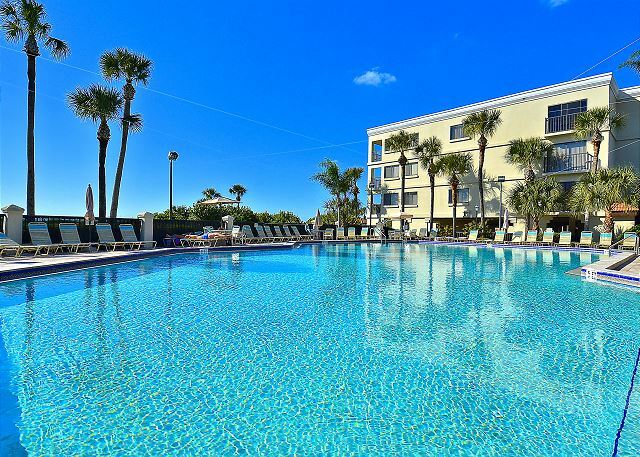 Its minutes away from great restaurants, shopping, water sport rentals, and downtown St. Petersburg. Additionally, when we 1st start going to LE we had used VRBO, Home Away, and others for our booking. We now only use Resort Rentals. They are real professionals that go above and beyond to make sure our stay is hassle and stress free. Thank you so much for this nice post! :-) We are so glad you enjoy your time at Land's End and our area as a whole, it really is an awesome spot and we are so glad you return here each year!!! Thank you so much for being our guest, we always enjoy having you and look forward to many more visits ahead!!! Our experience was amazing. This is the first time we have stayed in this condo, but second time in this complex. The unit was clean and had enough room for us and our two teens. Views out the living room deck and master deck were amazing. Went to sleep listening to the sound of the waves. Just steps to the pool and beach (amazing sunsets). Unit was simple but in good condition with only very minor details that were off. Beds were very comfy. Staff at this complex are extremely helpful and nice. It is a quite complex, not a party atmosphere, but also not a lot of families with little children which is what we like about it. Booking process was easy. 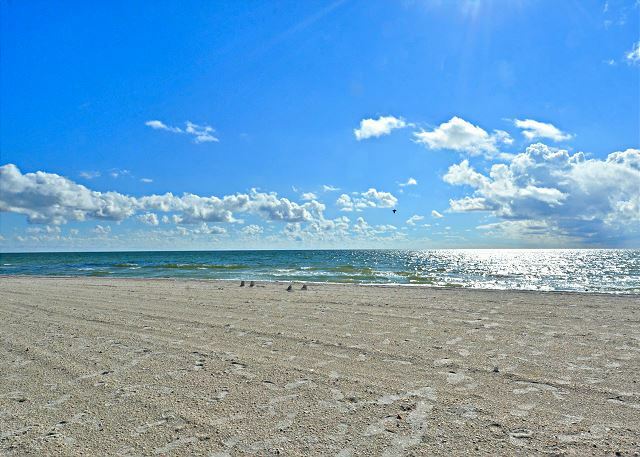 Location is great...on the beach, St. John's pass right down street. Shopping, food activities etc. We ventured farther to Space Center and Discovery Cove..bit of a drive but we knew that and felt staying in this condo complex again was worth it. Simple but beautiful. Great condo, excellent location, super easy with two small kids. We will be back! Wonderful to hear!!! So glad you had a nice family escape at Land's End and we look forward to your next visit! We ALWAYS enjoy having you.....we think you may be a good luck charm for the Lightning!!! :-) See you next season!!! Had a relaxing, enjoyable, and overall perfect week at Land's End. That is wonderful to hear!!! :-) So glad you enjoyed and we hope to see you back for another visit soon! This is the second year we've experienced an extended stay at Land's End. Unit #202 in Bldg 9 is perfect for those wanting a full view of the Gulf. The pool is fabulous, and many visitors are long term guest or owners that are happy to welcome newcomers. The location of Land's End is one of the best in our opinion. 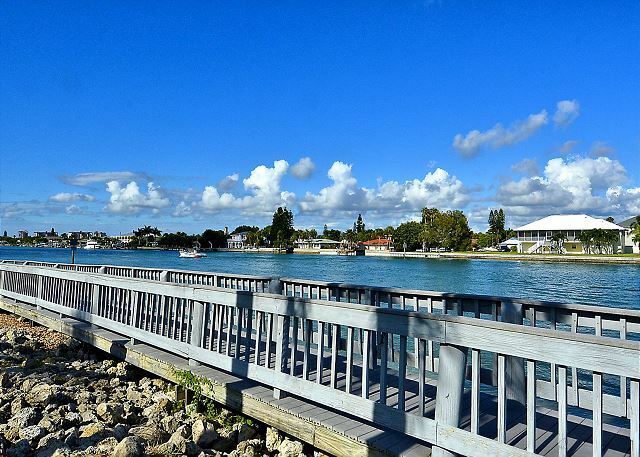 They are located on the end of Sunset Beach peninsula which provides and nearly private beach, opportunities to see dolphins and other wildlife along the shores, and convenient to grocery stores, many restaurants and live entertainment is just minutes away. We've check many other locations and can't find any that suit our needs better. Also, the staff at Resort Rentals has been great. We expressed a need for an updated sofa when we arrived, and within a week they worked with the owner and we were provided a new sofa in our unit. In addition, we checked out forgetting an expensive pillow, keyboard and mouse for our computer, and the staff worked with us to return them to us at our home. Oh that is so great, so glad you enjoy!!!!! :-) And we are so happy we could accommodate with the other items, we do our best to meet everyone's needs and requests so we are so glad it all worked out! Thank you so much for staying with us and we hope to see you back next season! Loved the location. The grounds are beautiful. The unit is spacious and the view from the balcony is stunning! The condo and views were breath taking, clean and very well presented. We have stayed within this complex for 10years now and are never disappointed. So great to hear! :-) Thank you for staying with us and we look forward to your return visit to Land's End! Great Location for relaxing vacation. Our goal was to relax on the beach for a week without having to travel by car to get there. We also wanted a quiet location away from all the usual partying crowds on spring break. Land's End was the perfect location. The condo was clean and comfortable for our adult family. More importantly was that it was quiet and safe. The view overlooking the water and the proximity to beach made it very difficult to leave. We shall return again next year. Thank you so much for this post! We are so glad you found the ideal vacation spot that you were looking for!! :-) Being a gated community at the end of a peninsula, Land's End really does provide for a quiet and relaxing atmosphere and we are so glad you enjoyed! Thank you for being our guest and we are looking forward to your return visit next year!!! Everything was wonderful!!!! It was perfect from start to finish! We can't wait to come back again next year! A special thank you for coming so quickly when we managed to lock ourselves out!!!!! The condo was wonderful and we really couldn't have asked for anything better!!!!!! My family had a nice vacation in this quite development. 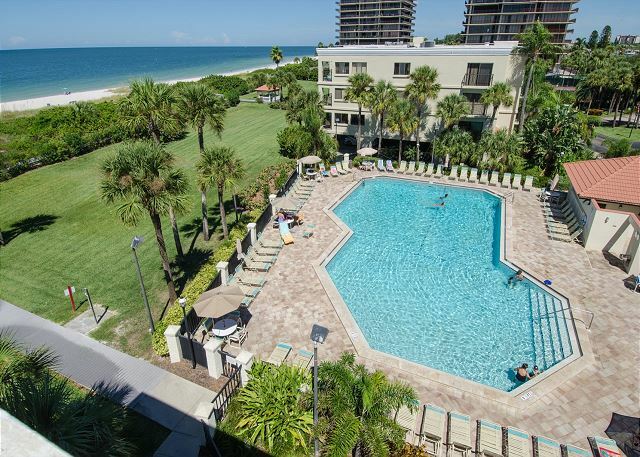 The development is centrally located between St. Pete's and Clearwater. It is close enough to restaurants and activities, without being in the middle of the crowded areas. 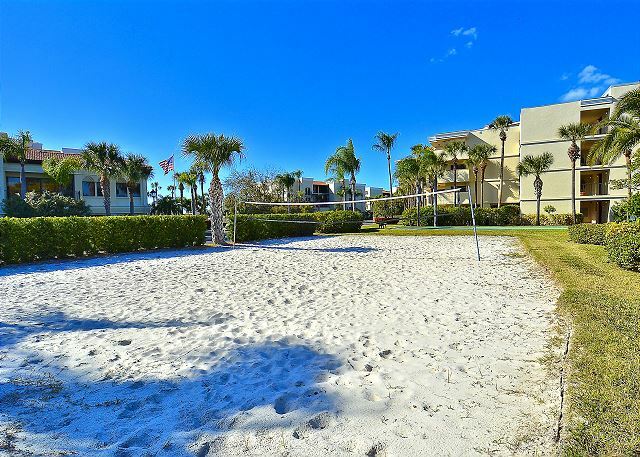 The beach is close and not crowded, and the development has great amenities such as the pool and volleyball court. I would recommend this condo. We have stayed in this unit multiple times over the years. While it is clean, this unit could use some updating. The couch is feather stiffed which may be a good thing in a pillow, not so much in a couch. The shape doesn't hold well and there's the poking of the feathers. Cable on the TVs in the bedrooms are a waste. There are VERY few channels available. We'll likely look into renting a different unit next year. Thanks for the post! We do have a category in our program called "premier" units and to carry this designation the condos will have recent updates, including newer furnishings. Perhaps during your next stay a premier condo could be a better fit! :-) We have a number to choose from in both the Bay front or Beach front view category. This was our third trip to St. Pete Beach but our first stay at Land's End. It will be our go-to location from now on. The facility is fantastic and if you want to park your car and never leave you can absolutely do that. Despite the fact that Land's End feels like a very private, secluded place (which in a lot of ways it is) it's still an easy drive to restaurants, stores and other entertainment options. Even our drive down to Pass-A-Grille didn't take long. Would love for someone to take a little better care of the beach area. That's the biggest difference between Land's End and the other resort where we stayed but for the price difference (Land's End is MUCH less expensive) that's not a huge deal. Also, some of the residents don't seem very accepting of vacation renters but it didn't affect our stay. Overall, it's a terrific place, a great value and we'd go back tomorrow. Had a wonderful stay at Land's End (Bldg 9, Unit 202)! Land's End is a great place for rest and relaxation. The condo was exactly as depicted on the web. It was comfortable, clean, and in great condition. The balcony offers a stunning view of the gulf. Words cannot describe the colorful sunsets I enjoyed each evening. 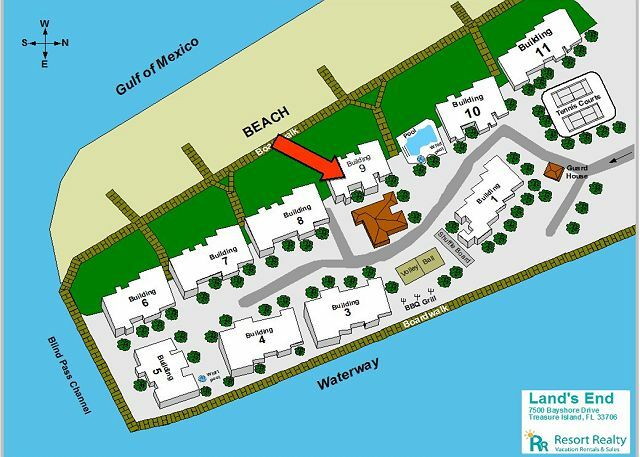 Building 9 is near the pool, clubhouse, tennis court, and a walkway to the beach. All of the workers on the property (from the clubhouse to the front gate) were friendly, helpful, and kind. I also met some nice vacationers around the pool and while walking around the property for exercise. In St. Pete, I visited Sundial, a downtown retail complex and the Morean Arts Gallery to see a Dale Chihuly exhibit. Sundial has some delicious food options. Bring your appetite! The Chihuly Exhibit is a must-see. There is a large grocery store on Treasure Island if you feel like cooking or you can pick up freshly prepared hot food. 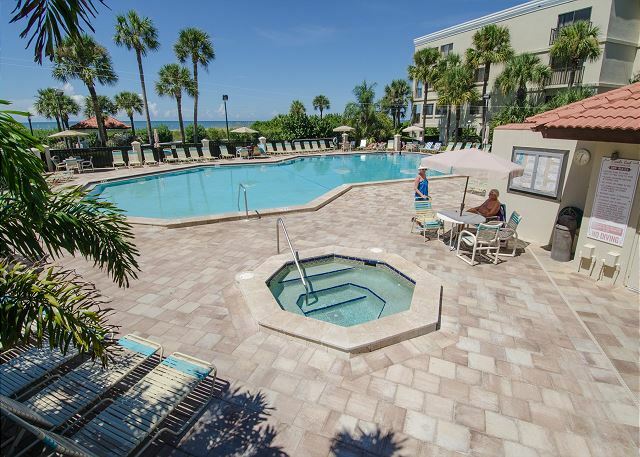 The Treasure Island community is laid-back, but you are never far from busy downtown areas (St. Pete and Tampa), quaint local eateries (The Floridian), restaurants, beautiful beaches, and shopping (Tyrone Square Mall). My sister and I haven't been able to go on vacation together since we were kids so we planned our trip. It was amazing !!!!!! Everything was even better than we expected, the condo was outstanding, several of the other the guests we spoke with said they had been repeat business for years. We loved it . It was wonderful. We enjoyed every minute of it. lands end resort is terrific. close to many activities. The specific condo is nice as well. This unit although well used was a comfortable place for our son and his family. My grandson,age 4 thought there was magic in the spare room beds because he was able to fall asleep fast! Unit could use a paint job and a few minor touch ups. door locks need to be updated.After a long trip, its not fun to be standing in the heat trying to unlock a door,. Thanks for your review! Sorry about the lock issues you experienced. The salt air does at times take its toll on our locks. I will pass on your suggestion to have them updated. In the future, let us know and we can send someone out to look at it. Thanks again and we hope to see you next year! We have been coming to Land's End since 1985 (when some of the units were still under construction) and we have always had a great experience. Beautiful property, well maintained with a lot of privacy because of the location at the southern tip of Treasure Island. bldg. 9 was beautiful and sunsets colorful. felt safe & had fun. No complaints! Resort Rental is a very professional working company, with top people. The manager, staff are very efficient and helpful. Any eventual repairs are being treated immediately and with a smile. On the other hand in condo 9/202, there are several things which should be altered or changed. I.e. in the shower box are no grips available, therefore a high risk of slipping. There were no soap-dishes nor glasses for teeth cleaning. In all the other condos we stayed during the last years, there was always an arm-chair in the master bedroom, highly appreciated, not in this one. The kitchen equipment (cutlery/glasses/top) might be improved and the toaster replaced. On the other hand we appreciated very much a small office at the entrance with a lot of books and space for the computer. To close these comments we would nevertheless say that the apartment is OK and we were happy with it. Thank you for letting us stay in your condo, the property was beautiful and well kept. It was soooo relaxing we hated to leave. The only negatives the kitchen had plenty of frying pans but, not 1 baking pan had to go out and buy pans to cook also, the bed was very uncomfortable felt like sleeping on a board. Really needs upgrade other than these 2 things everything else was great. So again thank you for a wonderful vacation. we have known for years that we wanted to retire in Florida but wanted to make sure that Treasure Island was the place for us. After many years of renting at Land's End for our vacation, we decided that, indeed, it is the place for us. We have never been unhappy or disappointed with any of the condo's that we have rented or with any services. We love the way we are treated and have fallen in love with the whole area as well. I have and will continue to recommend it to people as the perfect vacation spot. Wir sind zum vierten Mal in der Wohnung – wie immer alles OK - Das Geschirr sollte aber mal ausgetauscht werden. We had a great vacation at Land's End! The condo was very nice, lovely view, and it was nice and quiet on the beachfront side. It's off the path of traffic, so it's a good peaceful place to be. The pool is very nice and the proximity to the beach is awesome. The only complaint we had was regarding parking at the condo. We had 4 total guests staying at the condo and all 4 were coming from different states with their own cars. The gate staff were very difficult to work with to get parking passes for the 4 cars. One particular gate staff member was quite rude and cited "parking rules" that we did not see on the list of parking rules provided by the rental company. I would suggest that the rental company provide very clear parameters to guests about the # of parking passes you can receive and suggestions for alternative parking arrangements if you cannot receive a parking pass for each individual staying at the condo. Only comment I could offer is the kitchen could have been better stocked. There were no baking pans, not even a spatula. The only thing I didn't care for were the pool rules. Very hard to entertain boys when they can't have fun in the pool (i.e. throw their torpedo and small ball plus not being allowed in the hot tub was a bummer as they go in everywhere else we stay). Also felt the price was high for the room we had-just compared to other places we've been. Overall, a good vacation though-can't beat the weather! Thanks so much for your review! Pool rules are a delicate situation at all our condos. It’s hard to compile a set of rules that takes everyone into consideration. The majority of condos as well as hotels in our area do not allow toys or floats in their pools. As far as allowing children in the hot tub, there is a great deal of documented controversy as to the safety of children in hot tubs therefore Lands End errs on the side of caution. I am glad to see that in spite of these items, you still had a good time and will recommend us to others! Very private location with beautiful landscaping. My family had a very relaxing "Spring Break" week. Was able to enjoy the amenities of home and the beauty of the Lands End Resort. Would stay again. We stayed on the Gulf side-beautiful views from the patio. The condo was a nice size. We loved the condo and the quiet location on Treasure Island. Loved the beach and pool. The boardwalk around the complex was fun to walk for daily exercise. We saw dolphins and manatees while walking. Love to stay a month next time! In den letzten 2 Jahren war alles sauberer -- aber die Lage ist sehr schön, sicher und ruhig - ich würde das nächste mal ein anderes Condo wählen. Great place to stay. Grounds and pool are beautiful. Steps away from the beach. We will stay here again. This was our first experience renting a condo. I loved the extra space, large kitchen and the washer and dryer. Our unit was close to the pool and the beach. There is also shuffleboard and ping pong for the kids. Since Lands End is on the end of the beach, it felt like it was just for guests at the condos. I felt very safe and I liked having a gate to the property. You are not right next door to any restaurants or shopping, but I think that made it more serene and not as noisy. I would definitely stay here again. We keep returning because the condos are Very comfortable. We love listening to the ocean at night and love the sunsets. Great pool.